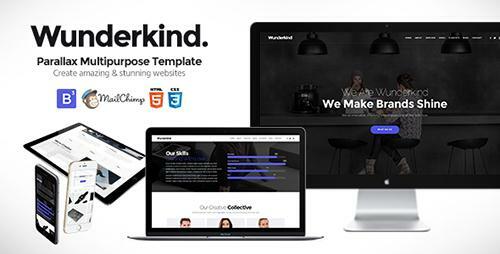 ThemeForest - Wunderkind v2.0.1 - One Page Parallax Theme - 7601990 | Free eBooks Download - EBOOKEE! Fully responsive and Multipurpose template based on Bootstrap 3.1. framework. Bootstrap clean, efficient code has a beautiful order to it that is simple to follow, resulting in faster programming and site speed. Responsive & ready to use Responsive design sections have already been tested on a specific set of browsers and devices, which reduces the work required to launch a website. No comments for "ThemeForest - Wunderkind v2.0.1 - One Page Parallax Theme - 7601990".